1932 THE FELIXSTOWE FOGHORN, RAF UNIT MAG. 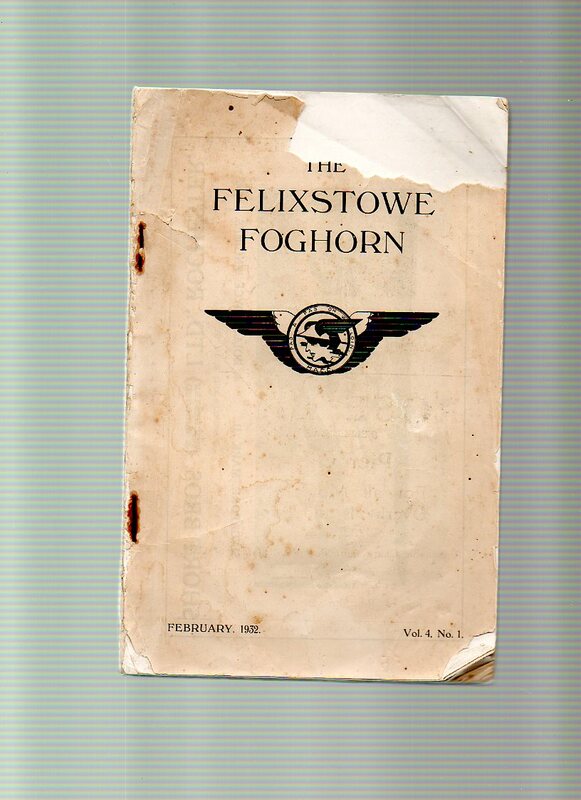 1932 RAF FELIXSTOWE MAGAZINE titled THE FELIXSTOWE FOGHORN........ part of the front cover has been lost as can be seen in picture, rest of item is ok. 74 pages in total.. 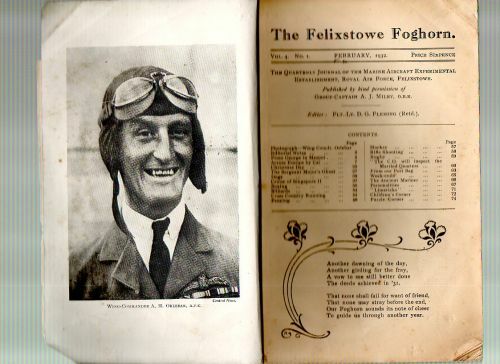 Inside title page describes this as....Quarterley Journal of the Marine Experimental Establishment Royal Air Force Felixstowe. Usual mix of photos drawings, stories, names of personnel leaving etc.